THE VETTE NET is a nationwide Corvette brokerage network and an active participant in the Corvette community. Thanks for stopping by to view this beautiful C5 Corvette located in GEORGIA. If you have been searching for a factory stock low mileage C5 Corvette convertible, here it is. 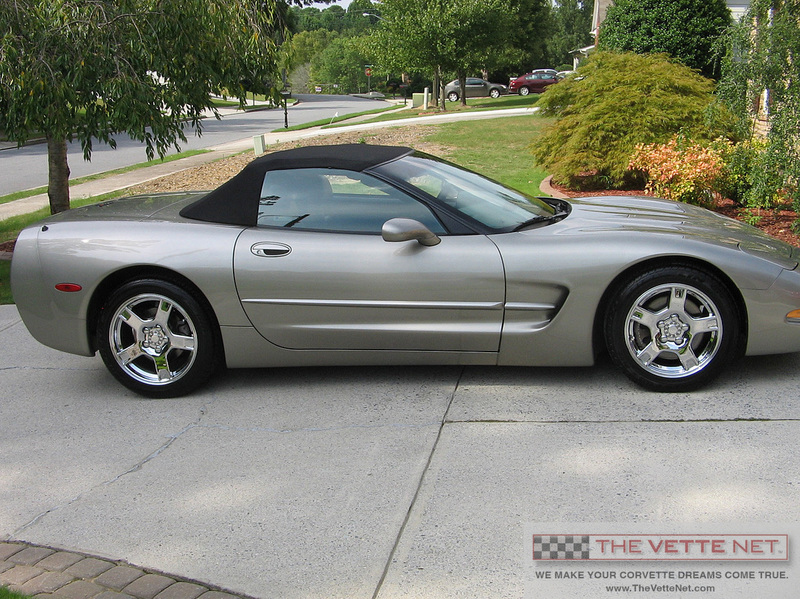 This beautiful 1998 Light Pewter Metallic convertible has been driven only 38,600(+) miles since new. The overall appearance is very nice and the tires are newer with lots of tread life remaining. UL0 Delco Stereo System with CD player. In business since 1998, THE VETTE NET is a nationwide and international Corvette brokerage network. It is recognized as the premier resource for buyers and sellers of Corvettes and we have assisted thousands of enthusiasts worldwide. Our motto is under commit and over deliver and we will provide you with a pleasant and straightforward experience. THE VETTE NET is a proud Lifetime Business Member (#991) of the National Corvette Museum. We are Corvette enthusiasts just like you. We drive Vettes; live the life-style and look forward to assisting you with your Corvette needs.